Polished concrete and tile flooring are great alternatives to indoor and outdoor areas. Concrete flooring has expanded far beyond the traditional grey solid surface with the introduction of staining and stamping techniques that can mimic luxurious natural stone finishes. Many times stained and polished concrete can be mistaken for marble or granite. Our experienced staining and polishing concrete experts can make the new installation of your concrete surface look like materials like marble, slate, travertine or terra cotta. Concrete stains are now available in a rainbow of colors providing the same versatility as ceramic, porcelain, or natural stone tile flooring. 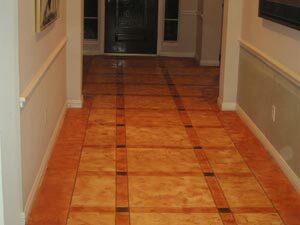 Stamping your concrete surface can also replicate tile patterns, and the adding of scoring lines can complete the look. 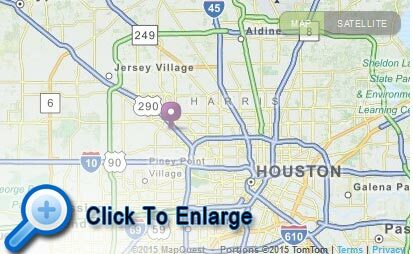 Durability of your tile flooring will depend on the material chosen. Marble is a hard surface but prone to etching and water staining making it an undesirable choice for bathrooms, kitchens, entryways or outdoor spaces. 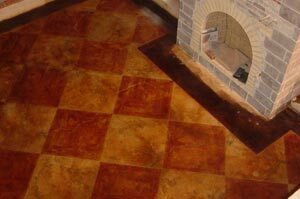 Terra cotta and saltillo are water resistant and provide a rustic design, but are not the most impact resistant choice. Polished concrete is great for high traffic areas, water resistant, impact resistant and can last as long as 25 years. Polished concrete will not crack under heavy traffic in commercial situations where as tile can shift or crack due to heavy weight. Both surface require regular cleaning, and occasional polishing and sealing. According to Concrete Network, the average ceramic tile flooring costs between $11-$22 per sqft, and natural stone can coast as much as $20-$50 per sqft. New installation of stained and polished concrete can cost between $2-$15 per square foot. Tile flooring is much more DIY-friendly than poured concrete, all the more reason to consult with one of our decorative concrete experts – Stamped Concrete Project Planner. Which is Better for You Polished Concrete or Tile Flooring? Since cost is not relatively equivalent and stained concrete can be made to look like almost any tile, the answer is personal preference. Concrete has greater durability outdoors, particularly in high traffic areas, and staining an existing concrete slab may be seem the less labor-intensive choice to a homeowner. 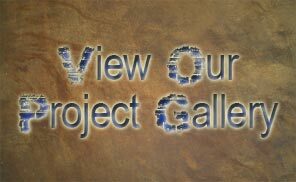 For more information, feel free to give us a call to discuss any questions and to discuss the specifics about your project.